With more than 1,700 miles of stunning coastline, along with Lerwick’s dive boat activity, boat trips and record-breaking cruise traffic, it’s no surprise that Lerwick is a very busy harbour with yachts making a valuable contribution to marine tourism in Shetland. Last month, the colourful spectacle of the annual Pantaenius Bergen-Shetland Race and the return leg to Bergen took place with around 30 yachts dropping anchor in the port. “Lerwick has long been popular as a port-of-call with yacht crews as a place to meet and compete, thanks to modern harbour facilities, the warm Shetland welcome and the islands’ many attractions,” said Sandra Laurenson, chief executive of Lerwick Port Authority. 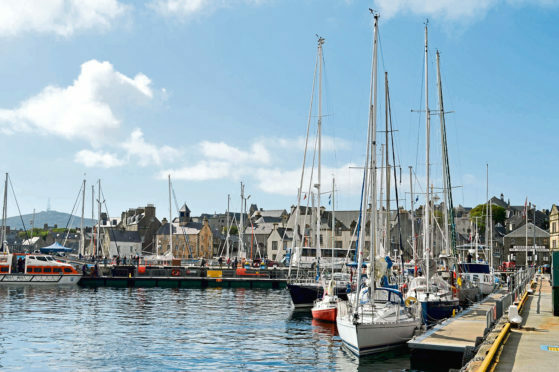 Lerwick attracts around 500 increasingly large yachts each year, including the annual and periodic international races, but there’s also an active local yachting scene. This weekend, eyes will once again turn sea-wards but this time it’s wildlife, not yachts, taking centre-stage. The annual National Whale and Dolphin Watch takes place from Saturday July 28 until Sunday August 5, with people from all walks of life encouraged to take part as the event enters its 16th year. The charity produces a unique programme involving members of the community in recording and logging cetacean species in local waters. Orcas have been spotted around Scotland and the Orkney and Shetland Isles travelling close to shorelines. The event, which began in 2002, has had around 5,900 sightings of marine life from the Channel Islands to Shetland. Identification guides are available through the Sea Watch Foundation website, to assist any interested onlookers with recording accurately any marine life that is spotted. 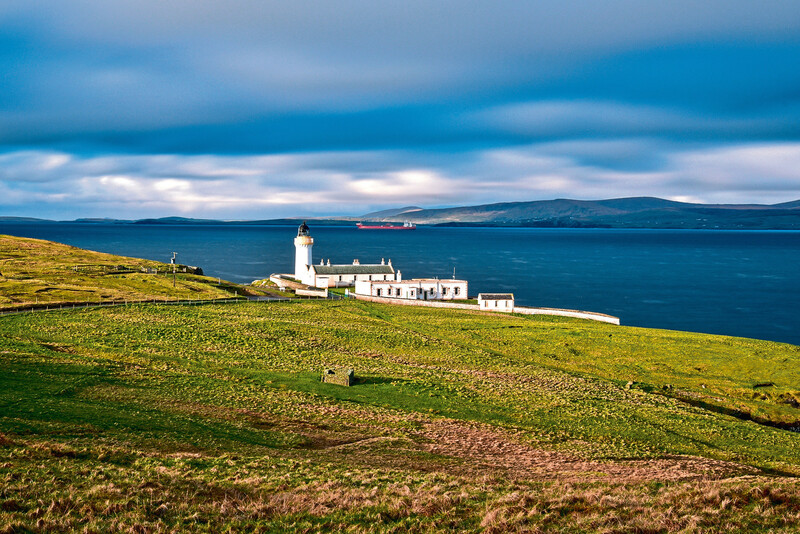 Shetland is made up of some 100 islands surrounded by crystal-clear seas, which makes it a fabulous place for those who love sailing and fishing. With natural harbours aplenty and miles of coastline to explore, it is a unique location and one which offers those looking to put down roots here a fabulous quality of rural life. Shetland, along with Orkney and the Western Isles, is regularly named as a location regarded as the most desirable to raise a family. Factors which have made Shetland fare well in surveys include there being fewer cars on the roads compared to other places, and that children enjoyed more freedom. Adults living on Scottish islands were among the happiest and least anxious in the UK, according to figures from the Office for National Statistics, while the islands stood out when it came to quality of education thanks to lower class sizes in both primary and secondary schools. There are more than 20 primary schools here, and half a dozen secondary schools. Shetland College, in Lerwick, offers a good range of vocational and academic subjects, while the NAFC Marine Centre in Scalloway offers training in marine-related subjects such as marine engineering, fishing technology and navigation. Both of these colleges are part of the University of the Highlands and Islands, which means students don’t need to head to the mainland to gain a degree. Shetland is around 100 miles away from the Scottish mainland and a little more than 200 miles away from Norway. At this time of year, those living there enjoy days filled with brightness – it very rarely gets really dark, while in the winter months, Mother Nature often puts on spectacular light displays. But this is not the only reason why people want to put down roots in this special and rather magical place. Although made up of more than 100 islands, only 15 of these are inhabited. In this part of the world, there’s an impressive array of homes to be found, many of them detached and usually with plenty of elbow room and bigger-than-average gardens. There are croft houses and cottages, farmhouses and bungalows and, of course, numerous homes ranging from the traditional to new builds, while many people prefer to purchase a plot of land and build their own home. It’s also been found that average house prices in Shetland are relatively low compared to earnings, which means residents can enjoy a high standard of living without paying a high price. It has a distinctive landscape and environment, unique culture, lots of sporting facilities, a lively music scene and offers lots of opportunities for those looking for work. The main work sectors in Shetland continue to be oil, construction, new energy, knitwear, fisheries and tourism, while the craft, food and drink sectors are continuing to expand and help enhance Shetland’s growing reputation for local produce. Meanwhile, a new Isles Deal could help create more than 600 jobs there. Some 10 projects which could generate the jobs through increased productivity and economic growth have been named by Shetland Islands Council (SIC) ahead of negotiations with government on securing an islands deal. The list of projects, which cover areas from digital connectivity and housing to industrial developments and decommissioning facilities, would require investment of around £200 million from public and private sources. The first islands bill was given royal assent this month to become an act of the Scottish Parliament and the law should pave the way for further devolution of powers to Scotland’s three island councils, as well as “island proofing” existing and future policies. The focus now is on securing an islands deal to boost the economies in Shetland, Orkney and the Western Isles. It would take inspiration from city region deals, feature a range of interventions to support “positive, transformative change”.